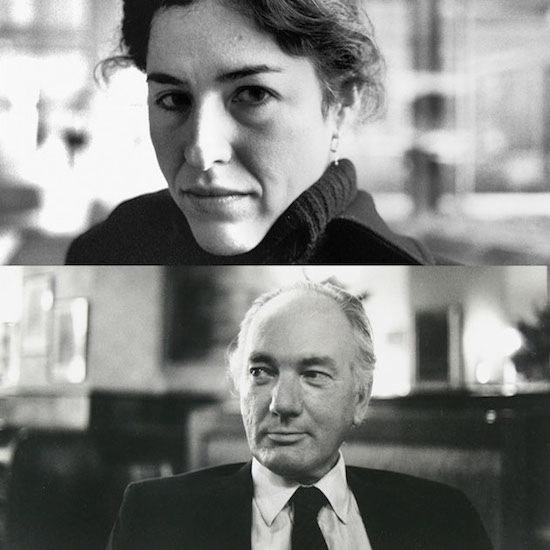 An overlooked comedic work by Thomas Bernhard, ghostly fiction from Israel, and more reasons to read Guadalupe Nettel's latest short stories! Sophie Hughes (editor-at-large, Mexico): I happen to be reading two collections of short stories that focus on human relationships. Guadalupe Nettel (Mexico City, 1973) is a world-class writer, slowly emerging out of Mexico and just now available in translation. Natural Histories, translated by J. T. Lichtenstein, was published in June by Seven Stories Press in the United States, and you can read a lovely, illuminating, and entertaining piece on the process by Lichtenstein in Asymptote’s July 2014 issue. With arresting incisiveness, in her collection Nettel reminds us that the matter of man is an overlooked marker of his mettle: from toe fungi to first pregnancies, these bodily stories (that is, natural histories) are as visceral and empathetic as any psychological realism. Even when the stories are narrated in the introspective first person, it’s the physical world, not any interior characterization, that finds its way under our skin. From the first page, Lichenstein’s shrewdly alliterative English prose pecks away at us, introducing an aural dimension to the fleshly images Nettel paints. So, on the death of a pet fish, the narrator says, “It pained me to see him there, alone in his container. […] That’s what saddened me when I saw him yesterday, floating like a poppy petal on the surface of a pond.” And pop, we’re there by the fish bowl, where no more little bubbles will appear at the surface and pop, because the pet fish is dead. Thus, through attention to sound, Nettel and Lichtenstein strive to make us, the reader, feel that absence. I don’t think I exaggerate when I say that some of Nettel’s stories are as atmospheric and emotionally battering as Chekhov’s. “Bonsai,” translated beautifully by Rosalind Harvey for Words Without Borders from Nettel’s untranslated collection Pétalos y otras historias incómodas, has the time-bending quality of “The Lady with the Dog,” where the main character’s entire romantic history—a messy eternity—plays out in fleeting encounters and in a few thousand words. And that quality of time bunching and stretching is one of the reflections on the short-form by Andrés Neuman (Buenos Aires then Grenada, 1977) in the four “Dodecalogues From a Storyteller” that append his first collection of stories to be translated into English, The Things We Don’t Do (Pushkin Press, UK): “In the short story, a minute can be eternal and eternity can unfold in a minute.” Another of these aphoristic reflections is, “If it does not stir the emotions, it does not tell a story.” Do find a copy of The Things We Don’t Do and read “Happiness” to see these two nuggets of wisdom exemplified in a page-long story about an unconventional yet dangerously recognizable marriage à trois. Eva Richter (blog editor): To those new to Austrian author Thomas Bernhard’s work or to longtime lovers of The Loser (Der Untergeher) or Heldenplatz, I can’t recommend Old Masters: A Comedy highly enough. In Bernhard’s typical style, the novel is composed of a single paragraph (flipping through this endless block of text in a bookstore brought me a strange, instant joy), but unlike Bernhard’s other works, which are, at least to me, still often funny, Old Masters, in its relentless stream of hostility and vitriol that reaches a singularly deranged pitch, is a comedy like no other. The novel’s music critic “protagonist” Reger rants against Austria’s filthy bathrooms (“Vienna has no lavatory culture, he said. Vienna is one great lavatory scandal, even at the most famous hotels in the city there are scandalous lavatories, you find the most ghastly pissoirs in Vienna, more ghastly than in any city, and if ever you have to pass water you get the shock of your life,” 80-81); and this man, who spends every other day in a specific room of Vienna’s Kunsthistorische Museum (for the temperature, not the art) also excoriates schoolteachers, ancestral research, Austrians (period), the sun, and embarks on a speech against Heidegger that does warm the soul (“that ridiculous Nazi philistine in plus-fours,” 41). Throughout the work, Bernhard, and his translator Ewald Osers, maintain a powerful formal rhythm—through repetition, minor permutations of phrases, and strange emphases—that lead ruthlessly toward the revelation of Reger’s dark secret. I was only unhappy that the end of Old Masters came too soon; so I would recommend following it up with Wittgenstein’s Nephew, Bernhard’s far less comedic chronicle of his lung disease and his friend Paul Wittgenstein’s mental illness. Up next in my reading for September: A Schoolboy’s Diary and Other Stories by Robert Walser, Kevin Brownlow’s history of silent film The Parade’s Gone By, and short stories by Patricia Highsmith. All those I love are dead. Yardenne Greenspan (editor-at-large, Israel): I won’t be the first to argue that to be a writer is to live in a world of ghosts. Memories, real or imaginary, are writers’ building blocks. People, remembered, half-forgotten, reinvented—their fodder. Our lives tread the line between active and passive, experience and record, life and death. In his novel Arba Aratzot (a name of a street in Tel Aviv, loosely translated as “Four Countries”), Israeli novelist Matan Hermoni, who will soon be featured in Tel Aviv Noir, takes writers’ loneliness and their preoccupation with the past and the impossible to the next level. His protagonist, jilted novelist and Yiddish literature scholar Yehoshua Radler, is kicked to the curb by his wife, only to find himself in a rented apartment on Arba Aratzot Street, which he shares with the ghost of a 19th century Yiddish writer; Radler’s neighbor, an aging actress, who becomes the ghost’s lover; and a young relative, a crumb of a man and an aspiring writer himself. Together, they must devise a plan in order to make rent. Wary of fame and recognition, some of them having experienced first-hand how fickle those rewards are, they focus on the one reward that truly matters: money. They try it all, from selling Radler’s manuscript to the publisher who is having an affair with his ex-wife, to begging on streets and extorting the aging actress’s former lovers. As Radler shifts between isolation and overbearing company, his subject matter takes over his reality: snow falls in Tel Aviv “again,” and the streets fill with merchants on donkey-back. Hermoni, like his protagonist, is not only a gifted fiction writer. He is also a scholar of Hebrew and Yiddish literature and a translator of Yiddish writing. Much like his fictional ghost, launched from the cold streets of Odessa to the sweltering desperation of Tel Aviv, Hermoni’s narration seems to come from elsewhere. His style, his word choice, the tone of diaspora exhaustion—all these inform his very contemporary subject matter: how impossible life can be in this supposedly careless city. Tel Aviv is merely the evolution of the Jewish shtetl, and a Jew is just as lonely among his own as among the gentiles.